Three especially designed guided relaxation techniques to develop control of symptoms related to panic and anxiety. 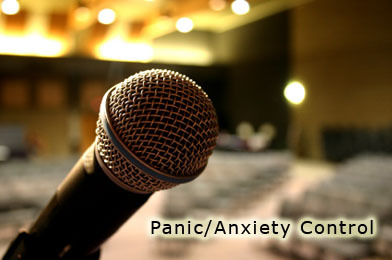 This special program when used with temperature training biofeedback and the other suggestions listed in the article on controlling panic/anxiety from the Stress Education Center’s Article page, will give you the tools that will help you to lessen, if not, eliminate your panic and anxiety. Allow 4-6 weeks of regular daily use to begin to see change and 8-12 weeks for the maximum benefits. This program goes well with information on panic/anxiety care in the book, Guide to Stress Reduction. About 67 minutes in duration. There are three different guided relaxations for panic/anxiety control. You will have a choice to select the best guided relaxation for your requirements. With practice you will get better results. It takes time and practice to learn how to relax. Contact your physician before you reduce or change your medication intake.